Beautiful shape, smooth lines, like works of art. 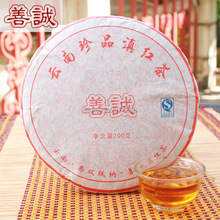 Jinjunmei black tea is made of tea bud tips which are picked before Tomb-sweeping Day from a rare and primitive specie of wild tea which grow on mountains, in the National Natural Conservation Area of Wuyi Mountain, with an attitude of 1500 to 1800 meters. A skilled female worker can only pick about 2000 pieces of tea bud tips per day and needs tens of thousands of pieces of tea bud tips to produce, adopting the traditional hand-made processing technology of bohea lapsang tea, 500 grams of Jinjunmei. 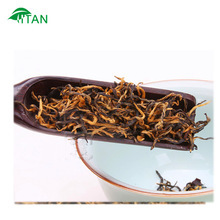 Processed Jinjunmei has the following characteristics: tight, slender and gold-yellow-black tea leaf, golden tea soap, mixed aromas of fruit, flower, honey, and potato. It is a top-level treasure that is so rare. 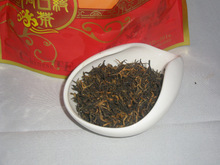 Step one:Put about 8 g of tea into the teapot. Step two:Put boiling water into the teapot. Step three:After nine seconds,put the tea water into the filter container. Step four:Put the tea water into the cup from filter container.The tea soup is clear,then please enjoy tea,Fragrant lips and teeth ! 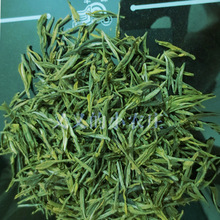 First,Jin junmei can help you loss weight, refreshing,anti-aging, anti-flu, enhance immunity, etc. 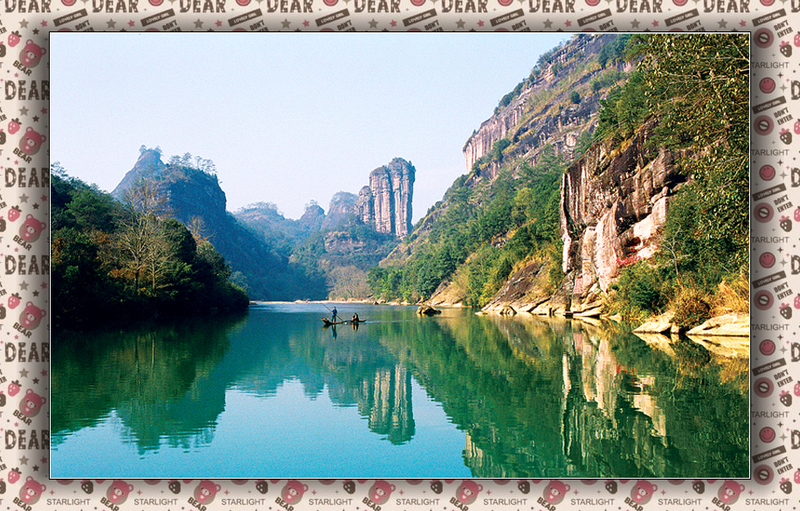 Furthermore , resolve toxin with clearing coolness and nourishing the liver to improve visual acuity. Last but not least , after slightly fermented it have a lot of beneficial bacteria and mild tea Of great benefit to the stomach. This is our default package.If you want to other package,we can also provide other packing.